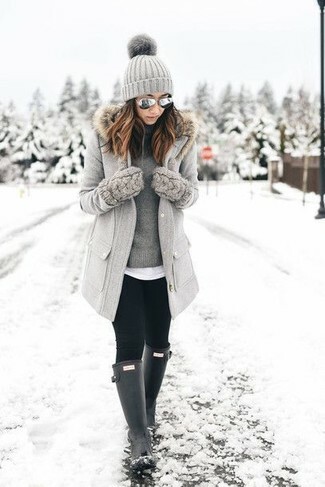 We all want comfort when it comes to dressing up, and this combination of a grey coat and a Rebecca Minkoff cable knit tech beanie with fur pom pom is a good illustration of that. Go for a pair of white athletic shoes to make the ensemble more current. If you're a fan of functionality dressing when it comes to your personal style, you'll love this chic pairing of a grey fur collar coat and a grey knit beanie. To bring out a sassier side of you, finish off your getup with black rain boots. 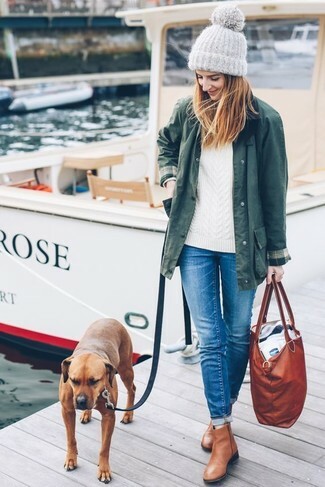 Pair a dark green parka with a Rebecca Minkoff cable knit tech beanie with fur pom pom if you're in search of an outfit idea for when you want to look casually cool. Rock a pair of tan leather ankle boots to take things up a notch. We're all getuping for comfort when it comes to dressing up, and this combination of a camel knit coat and a Rebecca Minkoff cable knit tech beanie with fur pom pom is a perfect example of that. Lift up your outfit with black leather ankle boots. If you're all about relaxed dressing when it comes to fashion, you'll love this extra adorable combination of a black and white shearling jacket and a Rebecca Minkoff cable knit tech beanie with fur pom pom. 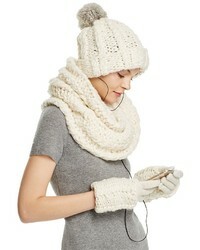 Pair a light blue sleeveless button down shirt with a Rebecca Minkoff cable knit tech beanie with fur pom pom for a comfy-casual look. Sporting a pair of black suede ankle boots is an easy way to add extra flair to your outfit. 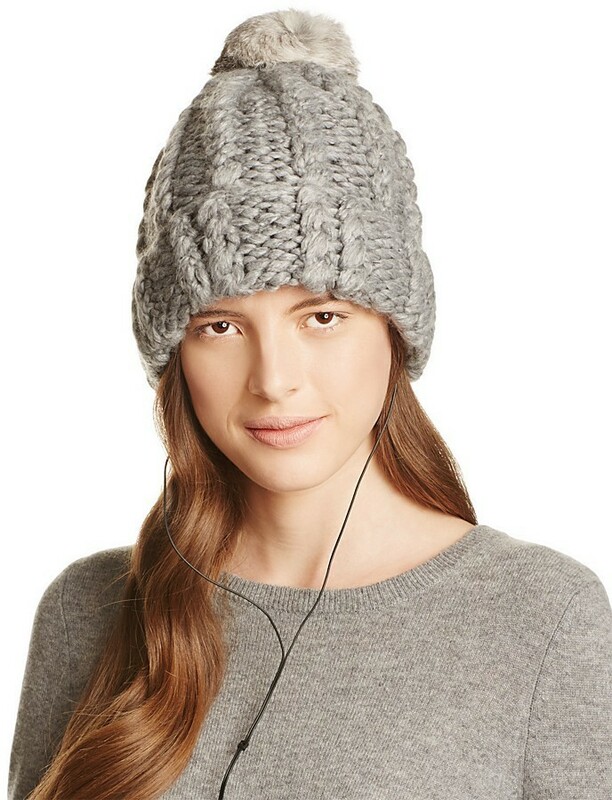 If you're a fan of relaxed dressing when it comes to fashion, you'll love this stylish combination of a grey coat and a Rebecca Minkoff cable knit tech beanie with fur pom pom. Add beige suede over the knee boots to your getup for an instant style upgrade. If you're all about being comfortable when it comes to fashion, this combination of a grey open cardigan and a Rebecca Minkoff cable knit tech beanie with fur pom pom is right what you need. Take a classic approach with the footwear and rock a pair of black suede over the knee boots. If you're all about relaxed dressing when it comes to fashion, you'll love this adorable combo of a grey embellished crew-neck sweater and a grey knit beanie. Up the ante of your getup with black leather ankle boots.